Please Note: By board decision/vote, once a registration is submitted/ accepted – no refunds or payment transfers will be allowed. Membership begins annually September 1 and runs until August 31 per year. If you register during the summer months or on August 31 – that membership is only good until the season roll-over on Sept. 1. To Register for the First Time or to Renew, click on this link to the Registration FAQ Scenarios. If you have any questions, edits, or problems with the registration process, please contact the NTR office at (469) 326-1873 or by email. *Note: Junior Members must register with Legal Full Name. *Note: All Adults, 18 or Older who affiliate and/or participating with a junior volleyball club or team in a USAV/RVA must submit to a background screen. and complete the SafeSport Training prior to any activities with juniors. *Note: Registration and background screen fees are the responsibility of the member, NOT clubs. Read and Click on the scenario which applies to the individual registering. I have not played in the North Texas Region or another region of USA Volleyball and never signed up on USAV Webpoint. I Have Already Participated With North Texas Region. I have not played in the North Texas Region or another region of USA Volleyball and never signed up on USAV Webpoint, but only need Beach/Outdoor Membership (registration begins in May of current year). I Have Participated With Another Region and am Now Moving to North Texas Region. 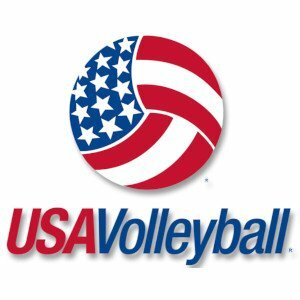 I have not played in the North Texas Region or another region of USA Volleyball and never signed up on USAV Webpoint, and have more than 1 player/person to enroll. I Have Already Participated With North Texas Region but only need Beach/Outdoor Membership (registration begins in May of current year). I Am New and Would Like to Register as a New Official. Read the Information on the Prospective Officials Page and Contact NTR Office Before Registering On NTR USAV Webpoint. Help! I Forgot My Password And/Or Username! I Tried to Register as a New Member But It Tells Me I’m in the System. I Tried to Register But It Tells Me I’m in the System. I Still Need More Information About New Memberships. I Still Need More Information About Renewing Memberships. please contact the NTR office at (469) 326-1873 or by email.